The World Poker Tour Borgata Poker Open began with 1,226 entrants, and after an intense week of play, just six players remain in contention for the title and $843,744 first-place prize. On Thursday, After a grueling 15 hour day, the six men have been determined for the 2014 World Poker Tour Borgata Poker Open final table. After eight levels of play, 25 players had hit the rail and Kane Kalas emerged as the chip leader with 14.025 million. 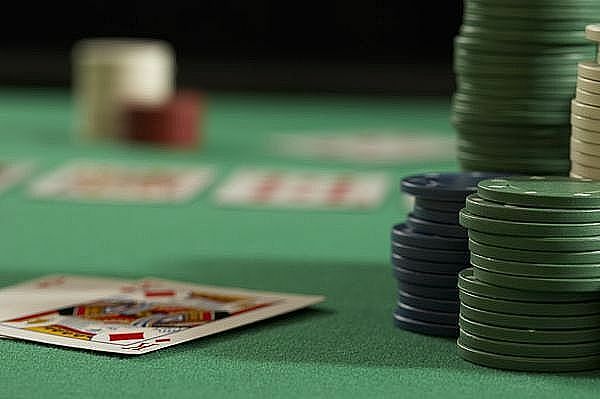 Kalas´ chip advantage will be equivalent to 37 big blinds when play resumes at the Borgata Casino later today; but, despite his big lead, victory is in no way certain based on the evidence of what happened in the latter stages of yesterday´s action – and the nature of the other players at the final table. Glantz would be the first of the notables to take the long walk from the Borgata, his A-2 failing to find anything on a J-10-10-2-10 board against Scott Matte’s pocket fives. After a level up, Oboodi got into the action in eliminating Eugene Todd from the tournament in 28th place with a big pocket Aces versus pocket Kings cooler. Down to three tables, another clash would result in a change atop the leaderboard. After Gaspard made an opening raise, Shulman three bet from the button and Elias popped a four bet into the pot out of the small blind. Gaspard didn’t back down, moving all in with his leading stack and Shulman got out of the way. Elias stuck around, putting his tournament life on the line, and showed a powerful pocket pair of Kings. Gaspard had that beat with his pocket Aces, but the winds of fortune weren’t with him. A King on the flop put Elias into the lead and, once the turn and river blanked out, he rocketed up to 4.85 million in chips. Gaspard, after suffering his first setback, was still good with slightly more than 2 million in chips. All of this action occurred within just two hours of the start of play, but the carnage wasn’t done yet. Cimpan’s run at a third WPT title was ended by Aaron Overton in 22nd place, while Iaron Lightbourne first savagely crippled Shulman before mercifully ending his tournament in 17th place. Cajelais would see his day ended in 16th place at the hands of Gaspard and Lightbourne, despite his beating of Shulman, would go in 15th place at the hands of Karim. As the dinner bell rang, Gaspard had revived his stack to almost 7 million in chips, but that was still behind Elias’ 7.14 million stack. The two men, on the same patch of felt with two tables left, were far and above the field as Bohn was the closest competitor with just over 4 million chips and everyone else muddled around the 2-3 million level. Although they didn’t know it at the time, there was still a great deal of poker left to be played. Gaspard chopped into Elias’ lead in making a nut flush following dinner as those back in the pack tried to maneuver up the leaderboard. Kalas began his run at the final table by knocking off Matte in 11th place to bring the 10 remaining men to the unofficial final table, then bumped off Karim in 10th place to take over the chip lead. Bohn attempted to keep pace with Kalas, eliminating Ory Hen in 9th place to creep close to Kalas as the clock approached midnight. Even after the elimination of Nicholas Gerrity in 8th place, it still took almost 100 hands before the television “bubble boy” was determined. Although Gaspard had kept his name in the mix for much of the day’s action, seven-handed play saw his stack dwindle. After doubling up Quartomy, Gaspard was still sitting on a 2 million chip stack but it would disappear in what started out as a three way hand against the two big stacks on the table. Kalas raised from under the gun and Gaspard decided to make his stand, moving all-in. Undaunted by the action in front of him, Elias called Gaspard’s bet and, after some thought, Kalas came along also. Elias and Kalas checked the 10-7-6 flop and, on a Jack turn, Kalas fired a bet that Elias called. On the river four, both players checked the action and, after Kalas turned up pocket Queens, Elias mucked to give Kalas the side pot. Gaspard, looking to best Kalas’ hand, could only muster an A-10 that couldn’t best him to slide to the rail in 7th place and set today’s final table. The final table will kick off at 4PM (Eastern Time) this afternoon and will be taped for broadcast as a part of the WPT Season XIII schedule.